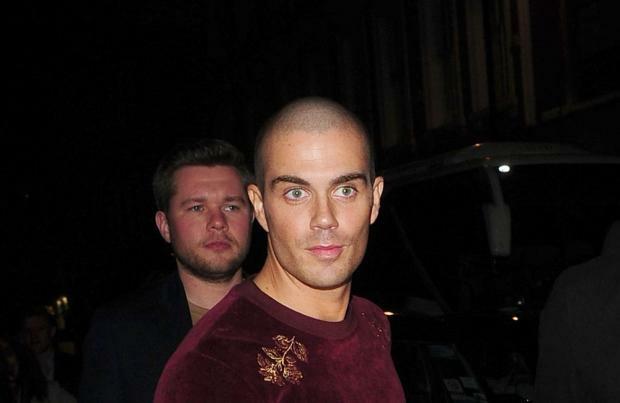 The Wanted's Max George has released his debut solo single 'Barcelona' produced by Steve Mac. The 29-year-old singer teamed up with Ed Sheeran's regular producing-and-co-writing partner on the tropical summer anthem, which Max admits is "not a million miles away" from the stuff he released in the 'Glad You Came' group. He said: "I've worked with a lot of amazing writers, some from The Wanted days, and I feel like I've settled in to a sound. "It's not a million miles away from what I've done before, but it's fresher and sharper, sometimes more stripped back, maybe more experimental." The Mancunian hunk is the third member of the boyband to embark on a solo career. He follows in the footsteps of Nathan Sykes - whose debut single 'Kiss Me Quick' reached number one in the US Dance Club Songs Chart - and Tom Parker, who has a number of singles under his belt including 'Undiscovered', 'Finally' and 'Lost In Your Love'. Max still keeps in touch with his bandmates and hopes Siva Kaneswaran and Jay McGuiness will join him to watch England's World Cup game against Columbia at a pub in London tonight (03.07.18). Speaking about his time in the group - who have been on hiatus since 2014 - Max told Capital FM: "It was the best four/five years of my life and I appreciate every second of it." Asked if he still keeps in touch with his bandmates, Max said: "I do, actually If they are listening now, because I did send them a text last night, I got one response. "Tom and Jay are in London, so I am hoping we can go for a pint later and watch the England game." Nathan previously said he wouldn't rule out a reunion further down the line, telling BANG Showbiz: "I don't know. Never say never. You never know what is going to happen tomorrow or in 10 years' time."